Take on the entire galaxy with the Star Wars The Force Awakens Kylo Ren Lightsaber! The plastic blades jumps out with a flick of your wrist, and is sure to strike terror in any Resistance forces you may encounter. 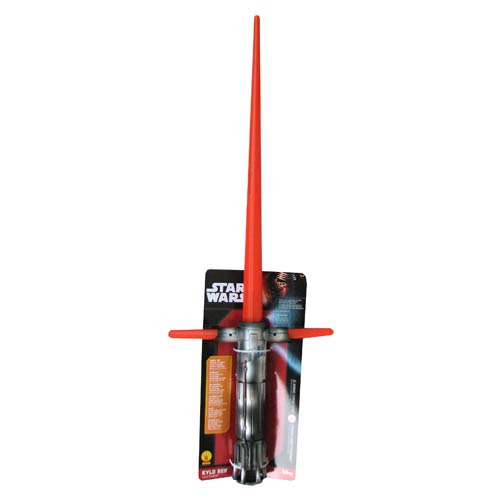 This Kylo Ren Lightsaber is made of lightweight plastic and makes a great complement for any Kylo Ren costume. Extends to almost 3-feet in length. Requires 2X 'AA' batteries (not included). Ages 4 and up.